The Xtreme Signal HD-BLADE HDTV antenna is the perfect indoor antenna! Why get a bigger TV antenna if you don’t need to? There’s a lot of free TV out there. Make sure you get the most high-definition channels by getting the strongest indoor antenna you can buy, the Xtreme Signal series. 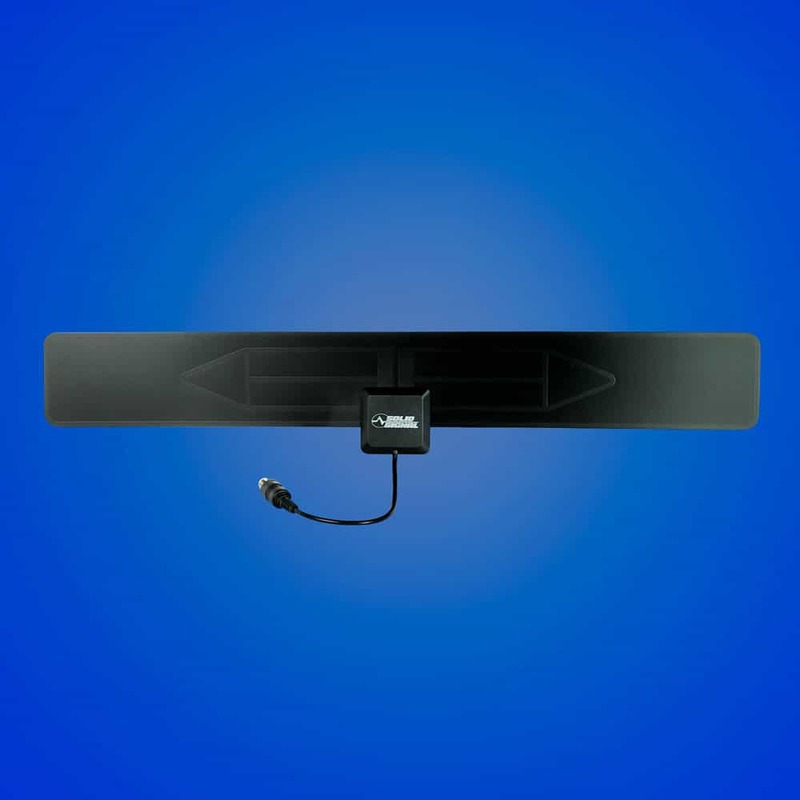 The HD-BLADE SLIM is an alternative to cable TV that lets you watch free HD channels. Cutting the cord on cable TV is easier than ever with this high-powered HDTV antenna. Get dozens of over-the-air HDTV stations in stunning HD quality with the HD-BLADE. This wide, low-profile TV antenna delivers 1080 HD content while it discreetly resides in the background of your home. It is like having a powerful antenna on your roof in a compact size. The HD-Blade is a high-powered alternative to the redundancy and ongoing expense of cable TV. Get the HD-BLADE SLIM indoor TV antenna and cut the cord today! Do you have any questions about the HD-BLADE SLIM HDTV antenna? Just call Xtreme Signal at 877-312-4547. We can answer your questions, offer antenna installation advice, and more.